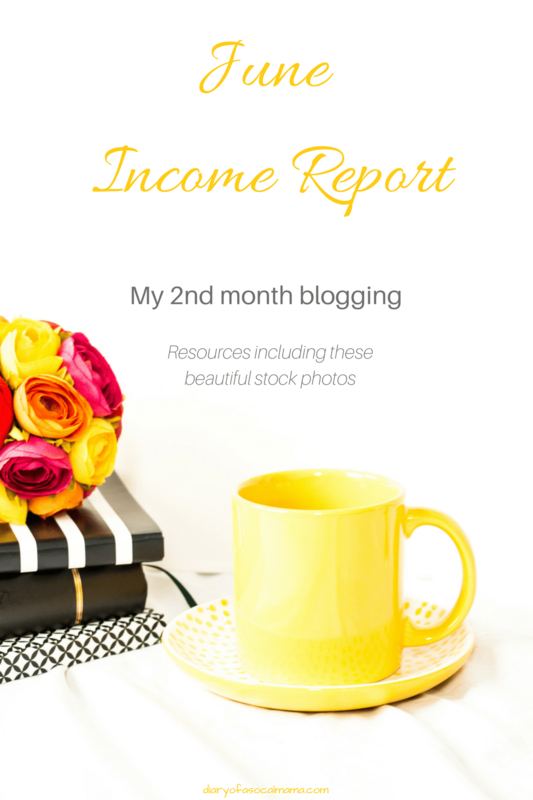 This is my Income Report for my first full month of blogging. I’m starting my Income Reports before I actually have an income as the expenses have already started. Yes, you have to spend a little before you make anything. This post contains affiliate links. I may get a small commission if you use one of the products I did. $0.31 from Google Adsense. I switched to Adsense the last week in June and I’m new so I’m still working to get my traffic moving. $17.99 Blog by Number ebook by Suzi Whitford. This is a great and low cost tool that will walk you through getting your blog up & running, post ideas, how to increase traffic. You could probably find a lot of these ideas online but purchasing her book will save you hours of time researching on Pinterest and lay it out in a logical order of events. There’s even a checklist to take you step by step through getting started. $3.25 BlueHost. I paid for one year of hosting. It was a much better deal to pay the whole year up front for $71.28 than to pay it monthly. You can sign up for hosting through BlueHost here. $4.17 Color U Bold stock photos. Every blogger needs stock photos to use for pinterest images, post photos etc. I love the photos from Color U Bold because they’re so bright and eye catching. I used their photos for the pin image for this post as well as the picture at the top of the page. It cost me $25 for a 6 month membership and I get new photos each month. $9 Milotree. This is a cool pop-up for your site that will encourage people to sign-up for your newsletter and like you on social media. It rotates through the different options and you can customize how often it appears to a user. $12.95 Canva for work. Canva is great for creating Pinnable posts essential to driving traffic to your site. *I used money I received through one of my favorite side hustles, Swagbucks, to pay for the ebook so my actual cost was only $47.29. I received 1,367 pageviews in June. It was my first full month so I have nothing to compare it to yet. I just started using Twitter and Instagram in mid-June so I’m still working on figuring out how they work, I didn’t use these platforms much pre-blogging. Pinterest and Facebook are much more familiar. Through Facebook groups I’ve been able to join a few pods which have really helped with getting likes, comments, and retweets as well as general information and support. Keep on pinning! I had a spike to 192 pageviews one day. It got re-pinned enough to actual show on the algorithm and brought me in a lot of views.
. I took a great free email course called “Pinterest Growth Challenge” from the Glorious Mom Blog. You can check it out here. I played around with a couple different picture editing sites but Canva was the best so I paid for the upgraded account there. I switched to Google Adsense and started seeing a little bit of income coming in from ads. Get 1800 page views. To do this I need to average 58 per days which seems achievable. Facebook: Increase to 35 followers. This is a small increase but it seems to be the toughest platform to gain followers on. Subscribers: Increase to 15 email subscribers. I’m sitting at 0 right now so I’m looking to start building my email list.